Just a quick side-note for those who may not have been aware. Nick Diaz was originally scheduled to challenge UFC Welterweight Champion George St-Pierre for the title in the Main Event, but due to his no-showing of important media events and press conferences to promote the card, Diaz was removed from the fight and the card and was replaced with Carlos Condit, who was originally scheduled to fight….you guessed it….B.J Penn. Diaz was later added back to the card by UFC President Dana White to fight the now opponent-less Penn. However, as fate would have it, St-Pierre injured his knee during a training session preparing for UFC 137, and now that title match has been postponed, moving Diaz vs Penn into the Main Event slot that Diaz was once pulled from. Diaz has made a name for himself in Strikeforce, winning his last 10 fights in the Strikeforce Welterweight Division, including a TKO victory over Paul Daley. His competition may not have been up to par with what the UFC was offering, but they are wins none-the-less. 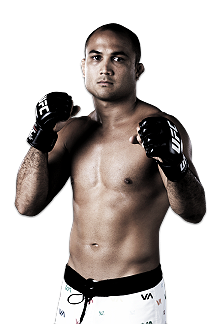 B.J Penn has been a prominent figure in the UFC for years, tearing through fighters until his recent meetings with current UFC Lightweight Champion Frankie Edgar. Losing to a fighter the caliber of an Edgar doesn’t sell Penn short at all, as he is still one of the most feared fighters in the UFC. The first of 2 colossal heavyweight fights at UFC 137, with the winner putting themselves right in the thick of things for a Heavyweight title shot. Matt Mitrione is a former TUF contestant, but is probably most famous for his knockout victory of Internet legend turned UFC fighter Kimbo Slice. He has won 4 of his 5 fights by either TKO or KO, showcasing his incredible punching power. Chieck Kongo will be the first big name fighter that Mitrione has been paired with though, and Kongo has just as much striking power as Matt has. 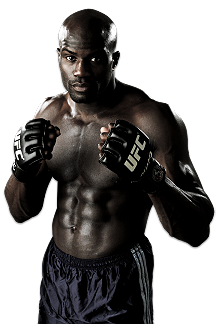 Kongo is coming off an incredible comeback victory against Pat Barry. Even though Chieck won the encounter, he did have to catch a huge second wind, as he was severely hurt before his comeback. I don’t see this fight being taken to the ground, if at all. Both guys love to stand up and duke it out, and both are capable of ending the fight on one punch. I believe Mitrione to be an overall better fighter, as Kongo seems to be too one-dimensional to me. I respect both fighters strength and power to the point where I don’t see how this fight goes the distance. Mitrione is quicker on his feet and has a larger repertoire of skills, and if Kongo goes for a takedown, I believe Matt can handle the pressure. 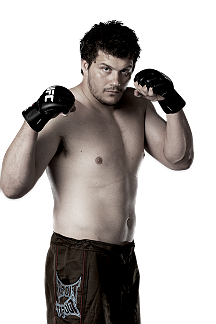 Kongo’s fight with Berry exploited enough weaknesses that Matt can take advantage of, so give me Mitrione via TKO. Both of these heavyweights have been on a downward spiral as of late, both going 2-3 in recent fights. Cro Cop is a legend of the MMA world, but he was a more feared fighter during his PRIDE days than he is in the UFC. He may be a little past his prime, but he still possesses incredible striking power in both his hands and legs that can knockout even the strongest of chins. “Big Country” Nelson doesn’t necessarily have the most intimidating of physiques, but he is still a well-rounded fighter than can not only knock you out (8 victories by KO or TKO), but also take you to the ground and submit you (4 submission victories). Rumor also has it that Nelson has dropped some weight to prepare for this fight, in hopes of improving his questionable cardio. This fight is another case of 2 guys who love to go for the knockout, so that is how I feel this fight will end. I am a fan of Cro Cop personally, but I believe this may be the last time we see him in the octagon. At this point in there careers, I believe Nelson has a better skill-set and a better defense that can stop Cro Cop’s powerful strikes. 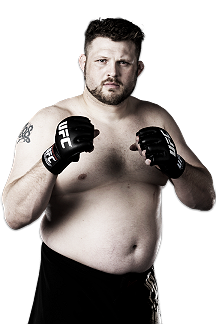 Whether he takes Mirko to the ground or not, I will pick Roy Nelson via TKO.